When I’m set a challenge I like to make sure I complete it, well not only do I really want to complete it, I want to make sure I do it as best I can. So when the lovely Hotels.com team sent me off to spend 48hrs in King’s Cross and Euston I wanted to make sure I crammed as much as I possibly could in! To make this a really handy resource for those visiting the area I’m going to be doing this post a little differently to normal, I mean, variety is the spice of life after all! If you’re looking for hotels near King’s Cross then there are some great options. 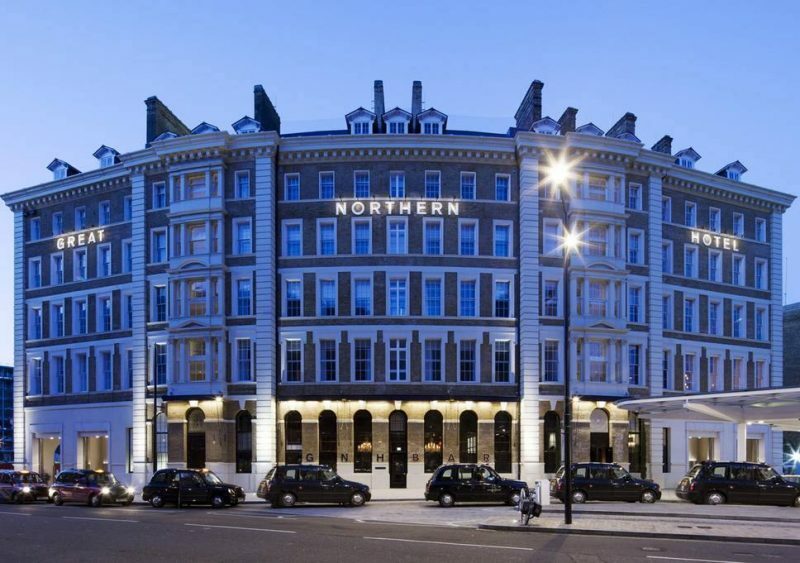 One of the nicest hotels in the area is the lush Great Northern Hotel, and of course, there are hostels, apartment and plenty of hotels for all tastes, wallets and locations too. 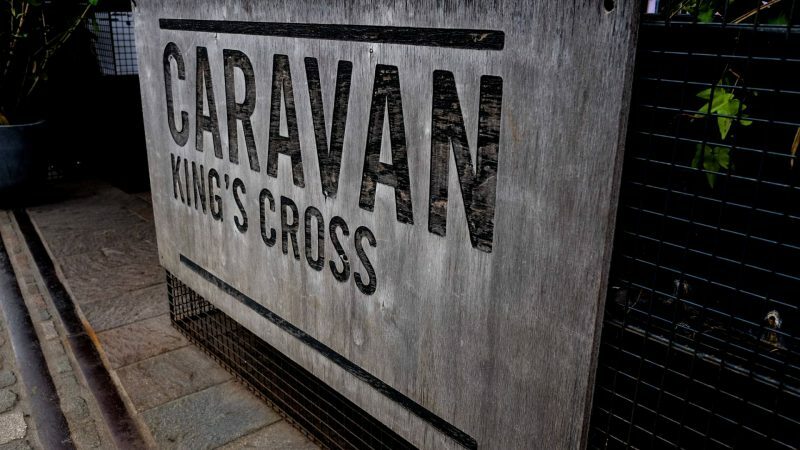 King’s Cross and Euston are filled with so many places to eat that I actually found it quite hard to whittle it down to just a handful to recommend. Having spent two years working in King’s Cross in 2014 to 2016 I did get to try my fair share of places and having been back to a good few of them since leaving I can honestly say there few are my most favourite foodie stops! For breakfast. 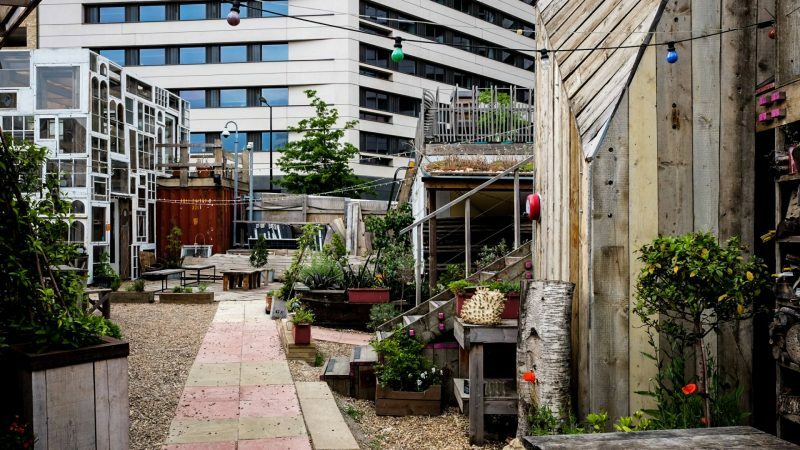 try Caravan in Granary Square which is housed within a grade ii listed victorian grain store. Within the stunning building, there’s a dining room, combined with an open kitchen, coffee take out bar and on-site coffee roastery. 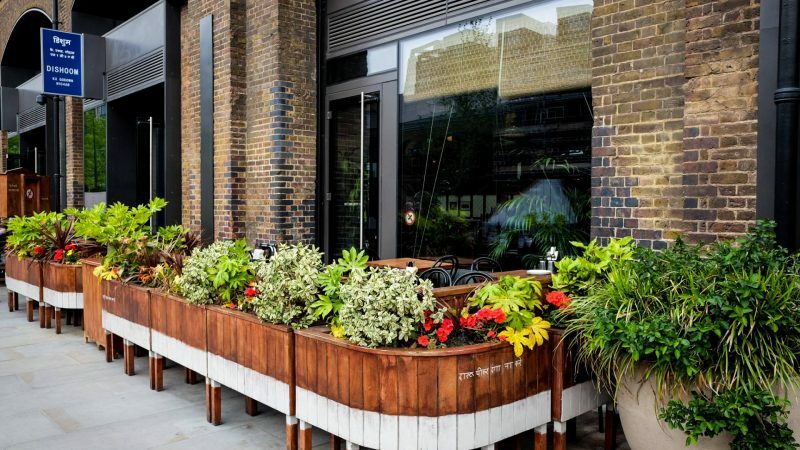 The dead cutr outdoor terrace overlooks the fountains of Granary Square and is the ideal spot for people watching. I highly recommend trying the Smashed avocado, pickled red onion, soy pumpkin seeds, sprouts, manouri cheese with a side of grilled Chorizo on sourdough toast! If you’re looking for a fast-paced, cheap but awesome lunch then you need to get yourself to Pizza Union for sure. 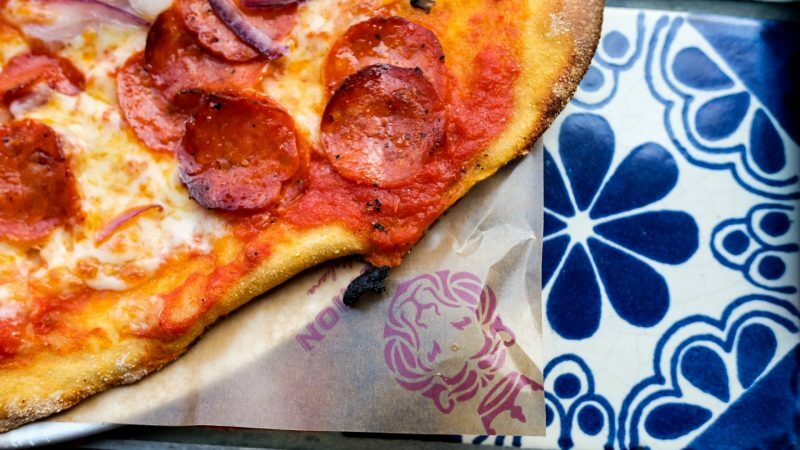 I always have the pepperoni pizza with added red onion which is a mere £7 and it’s on your table in around 5 minutes. The pizza’s have never let me down yet and I’ve taken many friends there who have been back themselves so it’s a total winner. I’ve gone a little swanky for my dinner options and picked Dishoom as it’s one of my most favourite restaurants in London. We took both sets of parents there for a late lunch for when they were meeting for the very time! The food is like no other Indian food you’ve had before and you don’t leave feeling stoggy. I could eat everything off the menu time and time again but if I was only visiting once then I’d recommend the Okra Fries, Prawn Koliwanda, Chicken Ruby Curry, Gunpowder Potatoes with rice and a naan bread. There are plenty of chains to stop at for coffee and a sandwich, but we much prefer The Skip Garden. I remeber a good few years back when The Skip Garde was being built and I had no idea it’d turn out so awesome! If you’re wanting to support something local then a coffee here with a homemade piece of cake or sampling a dish made with ingredients from the garden is exactly what you’re looking for. They often have events going on so check the website before visiting to make sure you don’t miss out! There are also many of your high street chains available nearby such as Nando’s. Five Guys, Honest Burger, Pizza Express, McDonald’s, Burger King and Wasabi. You really aren’t short of places to drink within walking distance of both King’s Cross and Euston stations. As with the restaurants, there really is a drinking establishment for all tastes and reasons! Pubs, pubs. pubs; there are just too many to count in the area, but there’s a few I’ve visited and would certainly go back to. These include the Scottish Stores, The Euston Tap, The Big Chill, The Driver and The Fellow. There’s also Camino’s where yu can grab some Tapas nibbles too! If you fancy a few cocktails overlooking Regents Canal then The Lighterman has a small but cute terrace that has lovely views. It’s often very busy but don’t let that put you off. For something a little different then Drink, Shop Do is so worth a visit! If you wanna make a clay statue, create Lego robots, join in a pub quiz or just be craft then check the website for their what’s on list as they’re always breaking boundaries of how much fun you can have on a night out! 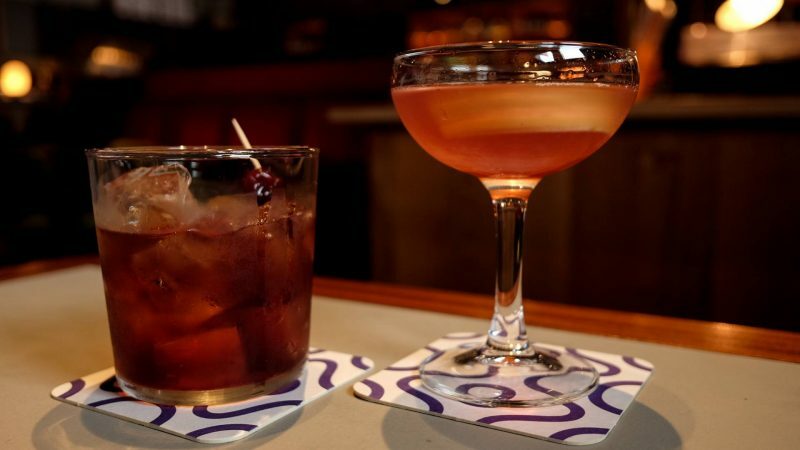 If you’ve got cash left to splash then a cocktail or two at Spiritland, just a few doors down from Dishoom will soon empty your wallet. Yes, it’s expensive, but the music themed bar totally makes up for it. There’s great music, stacks of speakers, dj booths and even radio booths within the bar. 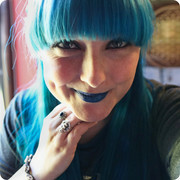 The host talks, bands and DJs to while away the hours. 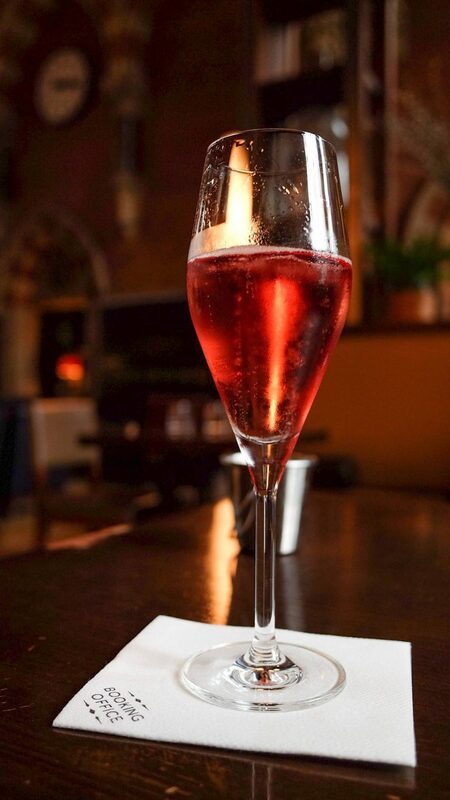 Or head on over to the Booking Office at the St Pancras Renaissance Hotel and grab a glass of the Chapel Down Brut Rose Champagne as watch people running to catch their trains! The service here is second to none, the Salted Caramel Rochers were beyond words and I could sit there for hours, so make sure you stop by before you move on from King’s Cross. Where to even start with things to do; there is so much to to cam into just 48hrs! King’s Cross and Euston are filled with so many free things to do which is great if you’ve splashed all your cash on food a drink! 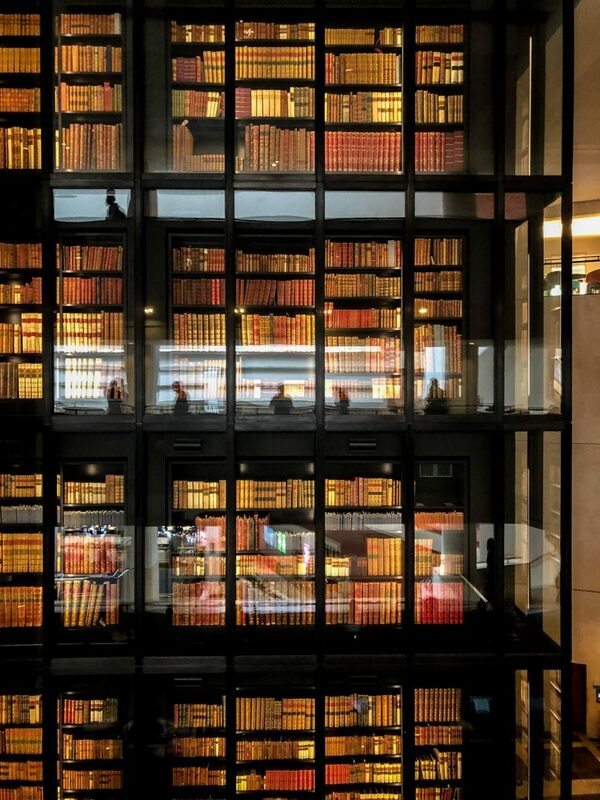 You should so make The British Library your first stop as it’s incredible! I spent time in The British Treasures room oogling at the some of the oldest music in the world, the Gutenberg Bible and the Magna Carta. I then moved on to the current exhibition of In Search of Frankenstein: Photographs by Chloe Dewe Mathews which were a mix of stunning landscapes and more sinister looking rooms that have got me aching to read Frankenstein! 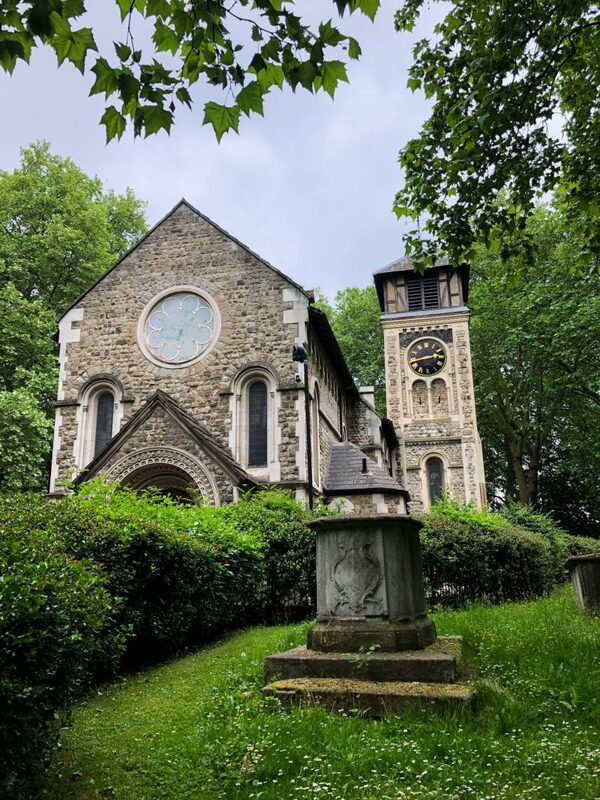 There’s also the beautiful St. Pancras Old Church surrounded by the stunning gardens and the Hardy Tree which are both well worth the walk for. The grounds are so peaceful, so make sure you give yourself some time to take in the stillness despite being right in the centre of a super busy part of London! 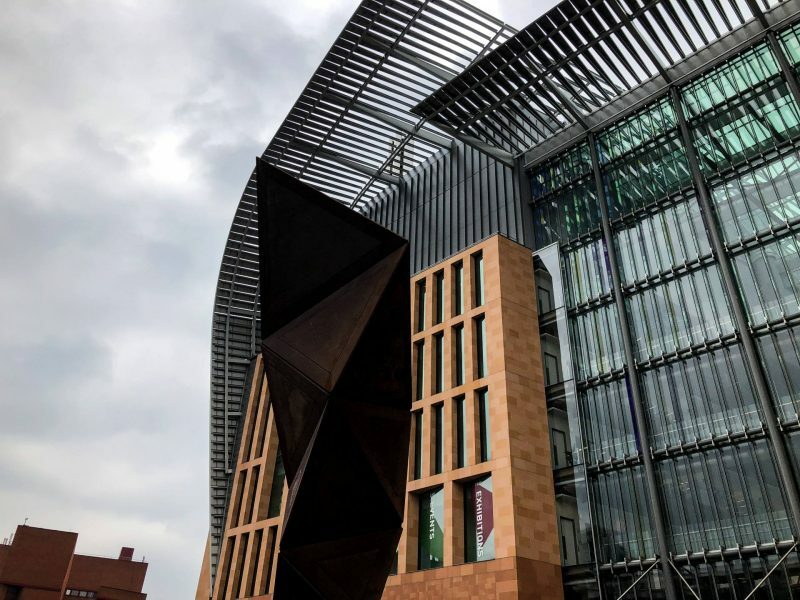 The Francis Crick Institute hosts free exhibitions and there are plenty of seminars and talks worth checking out if science is your thing. This awesome new building promotes connections between researchers, between disciplines and between academic institutions, healthcare organisations, and businesses so it’s going to be playing a huge role in science so it’s worth having a wander for sure! If you’re into your art and the darker side of life then The Wellcome Collection often houses free exhibitions that are always amazing. I mean, they currently have a whole exhibition there on teeth so go and embrace the quirkiness. 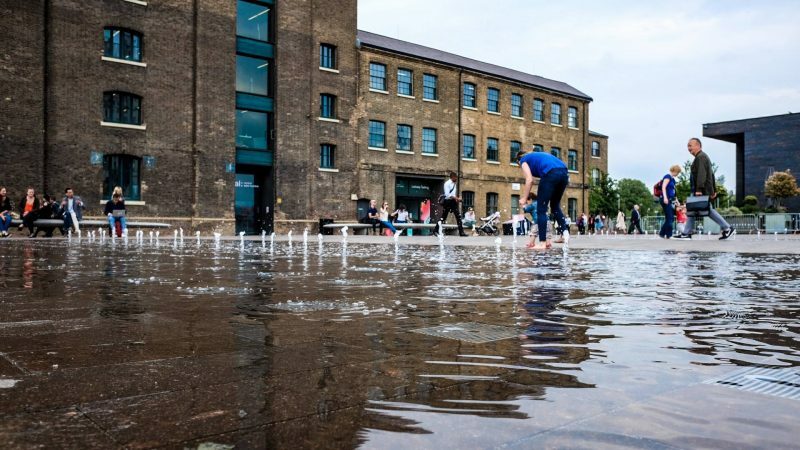 If you’re having lunch, dinner or drinks around Granary Square be sure to stop by their fountains, or take a seat and enjoy the boats pass by from the canal steps, or check out the special events such as the Floating Cinema that take place throughout the year. There are often markets, food stalls and art exhibitions happening too. If museums are what you’re on the hunt for then head into Euston for The Petrie Museum of Egyptian Archaeology, the Charles Dickens Museum, The British Museum, and the Foundling Museum. So plenty of museums to while away the hours in and to learn something new during your trip. There are obviously a few great paid for activities too such at Hint Hunt Escape Rooms in Euston and Omscapes Virtual Reality Escape Room which are great fun! King’s Cross and Euston are such awesome areas to explore and to take time out in. They’re so underrated as people just tend to pass by for the train stations but they really do have so much to offer! Taste of London, Regents Park. "How to Take the Best Photographs when on your Summer Holiday *"